For many good reasons, steam cleaning is indeed taking hold of the market. 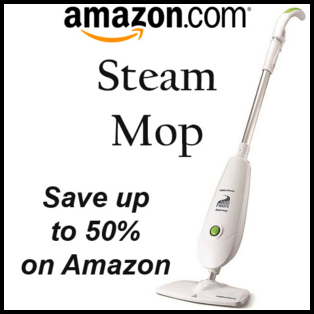 The steam mop can clean your floor in a much faster way than using the traditional bucket and mop combination. 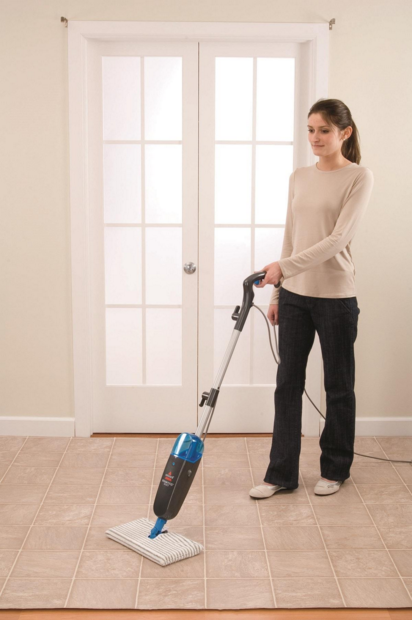 In fact, this can clean your house floors efficiently and effectively. However, there are still people who are doubtful about this cleaning method. So, here is some information that will let you know about the stream mops’ numerous advantages and benefits, but before that, you must know first how this work. The steam mop is a very simple system that heats the water to turn it into steam. 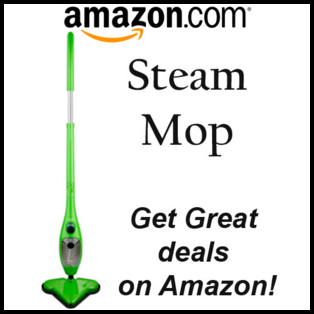 The steam will pass through the mop to clean your walls and floors. This kind of system will allow you to remove the hard stains without doing the scrubbing and will sanitize your floors by killing many dangerous bacteria that can potentially harm your health you breathe. Compared to the traditional bucket and mop combination, the steam mops can quickly sanitize your hard surface walls and floors. There is no large/heavy bucket to be dragged around, and there’s no drippy mop to squeeze out making your hands’ germ-free and clean. Along with the grime and dirt removing, the steam mops can disinfect without using any chemicals. The steam mop system has a small tank of water that holds 750mm of water. When the system is plugged in or powered, the tank will heat the water to 120⁰ Celsius and will begin to produce steam. The microfiber pad that is placed below the jet where the vapor is released will catch all the grime and dirt when the system is operational. In most of the models, the grime and dirt deeply seep into the pad for it to quickly avoid the possibility of getting drenched. Moreover, a steam mop can restore the natural shine of the surface by removing the residues. This can eliminate 99% of household dust and germs by using sharp and focused heat. Most of the stains can also be deleted by using the natural warm mist of the mop on hard surfaces. Any floor cleaner that utilizes natural elements found in the hot vapor is designed to clean bare floors like ceramic tile, laminate, vinyl, marble, sealed hardwood, and stone. However, when this kind of cleaner is used in waxed and some unwaxed areas, it might only diminish the shine. Such cleaner is also not applicable in cleaning unsealed wood. It would be best to test first the area if you are not sure about it or carefully read the instructions from your flooring manufacturer before using the cleaner. Using a Steam Mop doesn’t usually require many steps to be applied. By just vacuuming or sweeping the area before using a steam mop, it is enough to make the city prepared for steam cleaning. 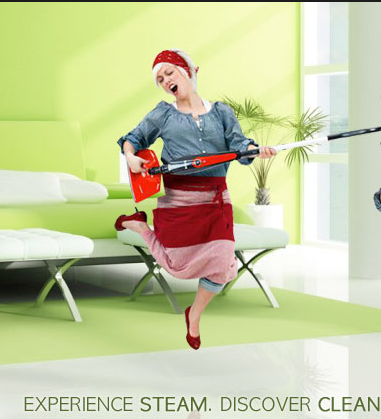 While passing on that surface, press the trigger of the steam mop to release the steam/mist. To completely sanitize the area, leave it on the stop for 15 to 20 seconds, but not longer than that. If the steam mop has stopped emitting the mist or vapor, unplug the system and remove its water tank. Refill it with tap water to make it fully functional again. After your first use, the system will produce warm vapor in a few seconds. During your initial use, the water may take 10 to 15 seconds to flow inside the filter to the heater. The heating system of the steam mop uses a trigger to replace the conventional broiler being employed in the older models. In this way, you can avoid burns that are caused by the built-up vapors when the steam cap is being removed. With a steam mop cleaner, even the basic tap water can clean the dirtiest surfaces with a little effort. No chemicals are used to operate this kind of product. For the steam mop’s cleaning pad, old cloth towels or t-shirts can be used for cleaning. This can save you lots of money and prevent the unnecessary waste from the purchased disposable pads on a regular cleaning basis. Aside from cleaning the hard surface walls and floors, steam mops can also be used as the steamer for furniture, mattresses, clothes and much more. BY removing the mop to make it a handheld steamer, the wrinkles of your family’s wardrobe can quickly be deleted. The squeegee of steam mop can also be used to wash the mirrors and windows in a few minutes. How To Renewed The Mattresses And Curtains? The mattresses can be renewed and curtains refreshed with its garment attachment. There is one set of nylon brush comes with three brushes that can virtually handle any hard surface in your home. The broad brush can provide a wide-range of sanitizing tiles, marble countertops, and grout lines. For the tight and small spaces, the detail and triangle head brush can easily clean those hard to reach areas. Even your most favorite golf clubs can be cleaned like new by using the wire brush that is developed to take out the elbow grease of those very tough jobs. Scraper nozzle of steam mop can easily remove wallpapers and can cut this kind of job in half by using steam directly to crevices and corners through the utilization of the direct jet nozzle. Along with making much easier jobs, the steam mop cleaners can also produce a clean environment for your kids and pets. Machines that are operated with chemicals or even the mops being drenched in water solutions or bleach emit toxins in the air are they are evaporating. This can negatively affect the air quality of a building or room. Children can become ill when being exposed to such toxins, especially those people who have asthma and allergies. They can experience difficulty in breathing when being exposed to contaminated air.